With no end to the credit crunch in sight small businesses are beginning to feel the knock-on effects when it comes to funding. It’s therefore timely that the Institute of Credit Management (ICM) and the Department for Business, Enterprise and Regulatory Reform (BERR) have launched a series of credit best practice tools for SMEs. 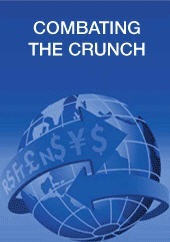 Free to download from the ICM site is a ‘Combating the Crunch’ leaflet which highlights four key tips for credit management within smaller businesses. The leaflet is launched in conjunction with a new web portal www.creditmanagement.org.uk designed to provide relevant information to credit management practitioners in businesses large and small.